SACRAMENTO, Calif. /California Newswire/ — Today, Calif. Governor Edmund G. Brown Jr. released a revised state budget that prudently pays down debt and saves billions of dollars, while carefully directing funding where it’s needed most – to improve schools, help low-income Californians, prevent tuition increases and respond to drought and climate change. The May Revision also continues to focus on the key elements of the January budget – carrying out the Local Control Funding Formula (LCFF), federal health care reform, public safety realignment, the Water Action Plan and the cap-and-trade expenditure plan. The May Revision sets aside $3.8 billion in 2015-16 consistent with the voter-approved Proposition 2 Rainy Day Fund. Of this amount, $1.9 billion is directed to pay down existing debt and long-term liabilities. The other $1.9 billion will be saved in the state’s Rainy Day Fund, bringing its balance to $3.5 billion. In addition, the May Revision repays $765 million owed to local governments. For K-12 schools, funding will increase by more than $3,000 per student in 2015-16 over 2011-12 levels – up 45 percent over four years. Compared to the Governor’s January budget, the May Revision increases spending for K-12 schools and community colleges by $6 billion ($5.5 billion General Fund). Funding for the Local Control Funding Formula – which directs education money to students in poverty, English learners and foster youth – stands at $53.1 billion this coming year. The May Revision also fully repays past-year school deferrals and adds $150 million on top of the $250 million proposed in January to expand career-technical education. The May Revision establishes a state Earned Income Tax Credit (EITC), designed to complement the federal EITC, to provide fiscal relief for Californians with incomes less than $6,580 and no dependents or $13,870 with three or more dependents. The credit is expected to benefit 2 million individuals, with an average household benefit of $460 and a maximum benefit of $2,653. This investment builds on other important action from the Governor to: dramatically expand Medi-Cal health care coverage, raise the minimum wage, extend paid sick leave to millions of Californians, expand California Work Opportunity and Responsibility to Kids (CalWORKs) program grants and direct billions more in funding to students with the greatest needs through the LCFF. The May Revision maintains flat tuition at the state’s universities for California undergraduates and increases opportunities for students to transfer to the universities. It commits $38 million in ongoing funding for California State University, for a total of $158 million in new funding. As part of an agreement with the University of California, the state will provide temporary funding from Proposition 2 debt funds to assist in paying down its unfunded pension liability – as it imposes a pension cap consistent with the state’s 2012 reform law. For community colleges in 2015-16, the May Revision provides more than $600 million above the Governor’s January proposal to expand student success. 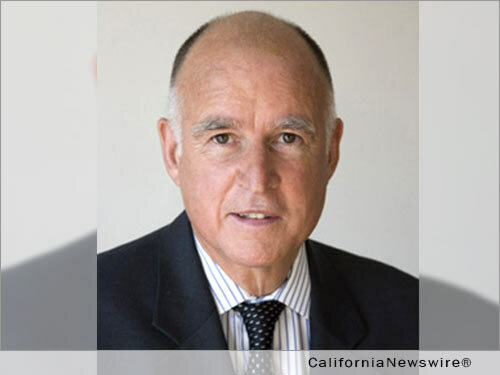 The May Revision adds $1.2 billion from cap-and-trade auction proceeds, for a total of $2.2 billion, to expand California’s programs to reduce greenhouse gas emissions. These programs further the state’s efforts to meet the Governor’s target of reducing greenhouse gas emissions by 40 percent below 1990 levels by 2030. As California continues to confront the effects of severe drought conditions, the May Revision includes a total of $2.2 billion for programs to conserve water, respond to emergency conditions and expand local water supplies. Additional details on the May Revision can be found at: www.ebudget.ca.gov.